Sometimes while wandering around my local craft store I'll stumble across an item that immediately brings one of our DoverPictura clip art collections to mind. But, when I saw this product the other day the Pictura collection that sprung to mind was, well, ALL OF THEM! Ink jet tattoo sheets! You could wear ANY piece of clip art you want. I rushed right home and did some research- is this product as amazing as it seems? The answer seems to be yes! So cool! 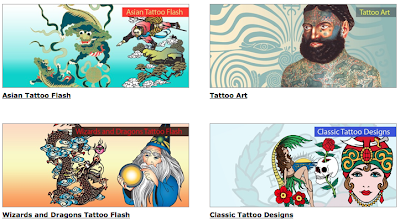 Not only are these tattoos totally painless, but you can use DoverPictura to completely customize your look. Dinosaurs for a birthday party, your sweetheart's initials...anything your heart desires. 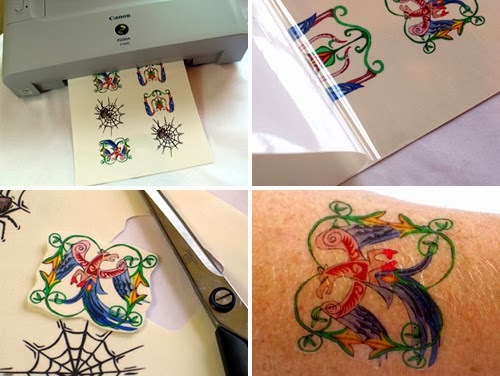 With Halloween approaching, ink-jet tattoos could work as a simple, yet eye-catching costume...and apparently, Martha Stewart thinks so, too! 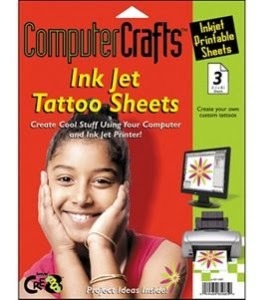 Have you ever come across a product in your favorite craft store that made a particular clip art spring to mind? Tell us in the comments! Tutorial Tuesday: The Envelope, Please!